Looks nice for the price. Good luck with the sale, hope it happens soon for you. Price? Jeri & Henri thank you. 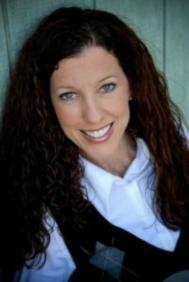 Trish Murphy with Remax Metro in Charlotte NC is the listing agent. The service Redesign + More provided was Home Staging. Hi Peggy, looks like a beautiful house! Did you stage the whole house or just some key spaces? The pool house is gorgeous! Yes it is a very beautiful home. We did only stage key rooms and additional photo's can be seen on my facebook page or the listing agents website. We had so much fun staging the pool house I could have stayed in that space for a whole day. Thank you!! Peggy looks like a beautiful place. The staging is lovely as well. Best of luck in the sale. Wendy Thank you. We enjoyed staging the key rooms in this home. Sally, Yellow was a great color choice for the pool house and one of my favorite colors. I believe the Cabana Boy would be a great bonus LOL.. Thank you for your comments.